After winning the battle against skin degradation, the skin beauty industry has launched another powerful weapon to support this sensational success: oral cosmetics. Let's find out how it works! The concept of " beauty from the inside" implies managing various supplements, such as minerals, plant extracts, tablets, marine extracts, vials, drinks/shakes rich in vitamins, enzymes, co-enzymes, fatty acids, essential oils, and amino acids. 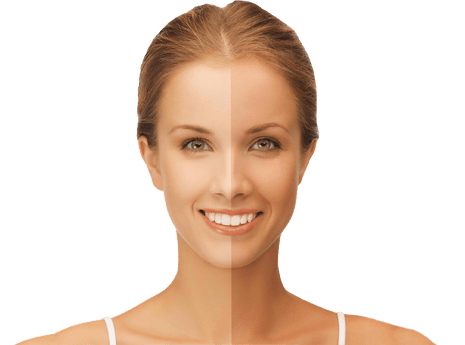 They are intended to regain the balance of the skin that has to face the effects of the UV rays, pollution, free radicals, stress, and food deficiencies. If the oral cosmetics for skin detoxification are highly recommended during winter, autumn and spring, during summertime you should use most definitely use them as it will help make the most of the benefits of the sun. These oral cosmetics can be complemented with supplements rich in vitamin D and calcium, especially if we take into consideration the marvellous effect of the UV rays on the fixation of calcium in the bones. Therefore, in order to efficiently prepare your skin for summertime, oral cosmetics could be the best solution. Without actually replacing the effects of an efficient sunscreen - usually applied externally and forming a protective coat, supplements prepare the skin for sunbathing at least one month before and helps provide an excellent tan even after your holiday has ended. Being rich in essential fatty acids and EPA and DHA polyunsaturated fatty acids, these products maintain your skin’s natural elasticity. Of course, the key ingredient is the natural beta-carotene, compounded with vitamin E, vitamin B, zinc, and selenium. During the summer, and especially during intense sunbathing, these supplements must contain a high dose of vitamin C, a key vitamin that participates in the synthesis of collagen. Another essential vitamin is vitamin PP, which is particularly beneficial to your skin after sun exposure. While lying on the beach, the skin tends to dehydrate. These supplements have been designed to nurture and rehydrate your skin thanks to their fatty acids, vitamin E, and blueberry extracts components. It is more than obvious that for a complete treatment, these products must be accompanied by various external therapies, focusing especially on certain areas of interest, such as the face and neck. The aim is rehydration and efficient skin nurturing. Taken preferably in the morning and with plenty of water, oral cosmetics start acting a couple of hours after the intake. The effects become visible after 2-3 weeks after starting the supplement. In addition, there are no claims for harmful side effects. However, these products are not recommended for pregnant women, or women who are breastfeeding. In order to avoid unwanted complications, make sure to order your products only from reputable distributors. You should also make sure that the purchased product offers customer service and follows a money back guarantee policy. To supply the UK with the strongest and highest quality Rio Tanning Tablets at the most competitive prices.